E-Commerce software is the engine behind the scenes of an online store, making it possible to easily manage inventory, add or remove products, calculate taxes, & everything else required to manage a website & fulfil orders. The E-Commerce Software is the ultimate solution to all problems. It improves all business function & process of E-Commerce. It enhance the efficiency of all operation like ordering & delivery the products. The automated software bring more transparency in day to day functionality maintain order & payment gateway become easy & possible on just click. From product management (size, color, quantity) to product names and images, ecommerce software allows an online store manager to get a high-level view or drill down to the specifics without any technical knowledge required. Admin also notified & made aware if stocks are low & what particular items are fast moving & need refilling. 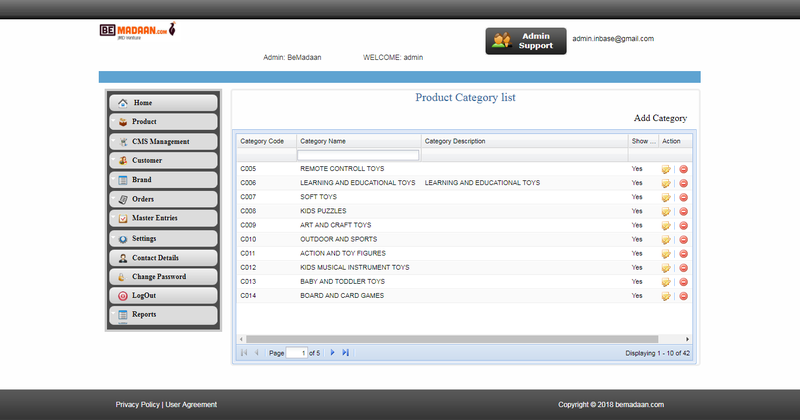 In add product admin can select the category of the product there product name, code, weight, MRP, Selling Price, Brand, total no. of products. In Customer management Admin can see or update the list of customer with their email-id. Under customer complaint list Admin can see the complaint for the specific product with customer name, code, product name, & specify date. In brand section Admin can easily manage the brand name with their description & brand logo. Managing an order from beginning to delivery is crucial to the success of any business. 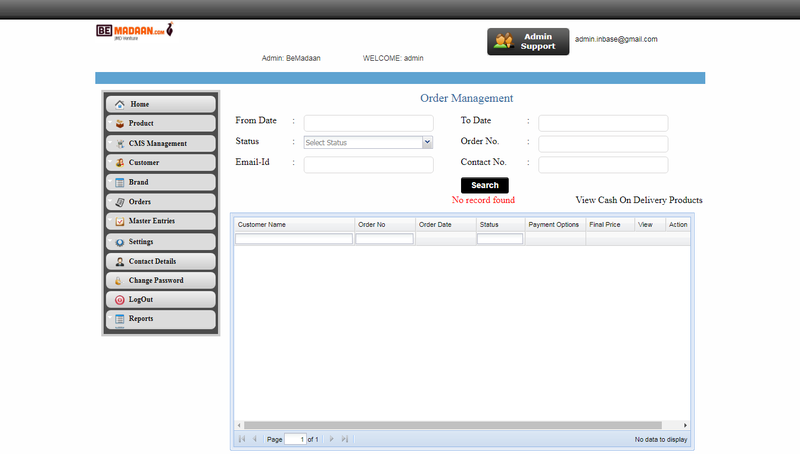 Ecommerce software lets you filter by customer, check order status, and make changes on the fly. Integrations with email platforms provide another medium for managing customer communications. A payment gateway authorizes electronic credit card & automated clearing house (ACH) payment provide seamless payment processing for businesses. Payment gateway encrypts & store sensitive data, including credit card number, account number it ensure that confidential information is safe while processing payments. These gateways are also responsible for transferring payment information to the customer acquiring bank. It helps to reduce a business liability & ensure that payments are processed securely. In shipping details admin can check the status of product shipping with their code. User can also track the location, detail of their shipping order according to unique code generated.